In 1972, Steve Carlton produced the most renowned “man alone” single-season performance in baseball history, winning 27 games for a famously putrid Philadelphia Phillies squad. The team’s record in games not involving Steve Carlton in the decision was 32 and 87, a 44 and 118 won-loss ratio when translated to a 162-game schedule. No pitcher has earned more wins since, and only Bob Welch in 1990, benefiting from the support of a nearly dynastic Oakland A’s squad that reeled off 103 wins that year, won as many. Most feel that Carlton’s 1972 season is among the best ever produced by a pitcher. 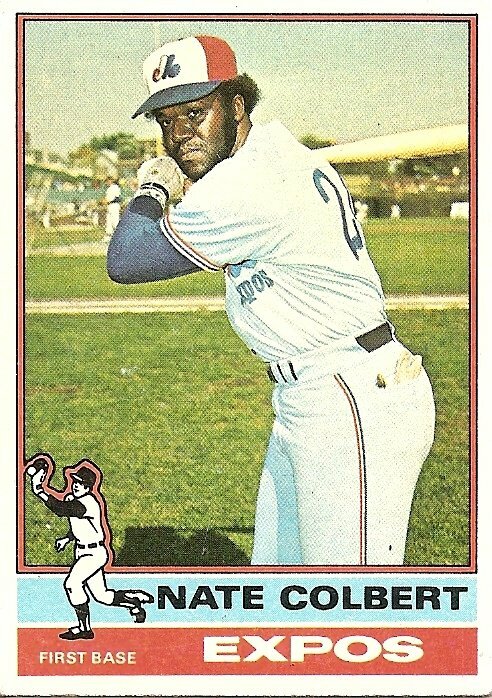 The best offensive counterpart to Steve Carlton’s famous 1972 season may have occurred in that very same year: Nate Colbert drove in 111 runs for the San Diego Padres, the only 1972 National League team to score fewer runs and win fewer games than Carlton’s Phillies. Colbert’s RBI total accounted for a whopping 23% of the Padres’ total 488 runs. I don’t know if this is the highest percentage in history, but I did check the ratio of RBI to team runs scored for the top single-season RBI producers in baseball history, finding that single-season leader Hack Wilson drove in 19% of his teams runs in 1930; Lou Gehrig 17% in 1931; Hank Greenberg 20% in 1937; and Jimmie Foxx 19% in 1938. Seeing that the top single-season RBI totals were all produced in the hitter’s paradise of the 1930s, I also scanned farther down on the list of RBI leaders for players from relatively low-scoring eras and checked a few deadball era single season RBI champs for their ratios, too. Then I got tired of the whole task and decided to unscientifically cut to the chase and crown Nate Colbert as the greatest single-season RBI producer in the history of the game. I also feel that he had the greatest pair of muttonchops. Anyway, here he is late in his 11-year career, looking a little melancholy, as if he knows there are only two more major league home runs left in his bat. You are currently browsing the archives for the Nate Colbert category.